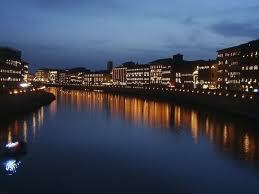 The month of June is for Pisa one of the most important period for the city! In June there is Patron Saint City Event, there are many historical events, concerts, party in the city and cultural events to celebrate the ancient historical traditions of Pisa. Save the following events: Luminara of Saint Ranieri, Historical Regatta of Saint Ranieri and every 4 years, the Historical Regatta of the Maritime Republics.